From my discussion with my tutor I decided to look into poetry, for this piece I decided to go with a rather iconic poem The Raven for it’s eeriness which was rather successful in my Bronson piece. Looking back at my last video I noticed that I keep my eyes closed a lot when I stammer which I found rather interesting and something I could really focus on for my next film. 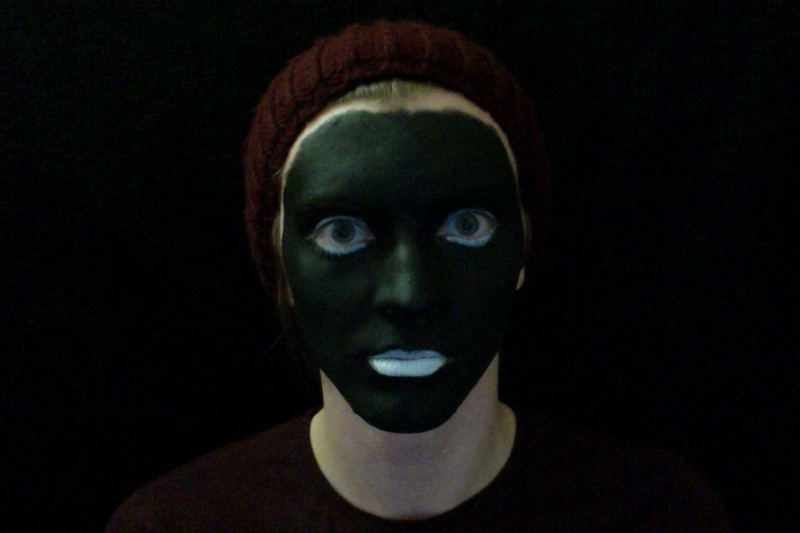 I went for a much darker setting for this performance as I didn’t really want to drive the audience away from anything else other than my mouth; I did this by paint my face completely Black and paint my lips White and around the lids of my eyes. I found painting my face to be very successful and hope to develop this further.